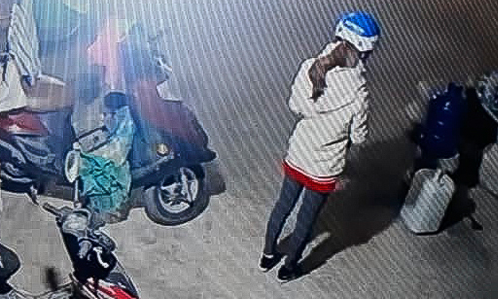 Police in Dien Bien confirmed the identity of a suspect who murdered a 1000 young student who could raise a chicken on the afternoon of the 30th. Dien Bien's Police Department reported that on February 11, police arrested Vuong Van Hung, one of the alleged suspects of arresting an illegal person. Hung proclaimed February 4th (the 30th of the month's pig) on ​​the mayor's market, asked beautiful girls, helped relatives sell their chicks, and asked for a phone number to contact. After discussing with four accomplices at 18:00 on the same day, Hung called to arrange 10 chickens and asked them to hand the girl over to Truong Ward, Dien Bien Phu city. The image of the girl is extracted from the camera before going to the chicken. Thirty minutes later, the 21-year-old girl brought the chicken to the address, and Hung pointed to another spot and controlled the victim. Both groups detained and raped the girls, and on February 6, they brought him to a desolate house to kill. All chickens and personal property, including the victim's cell phone, were demolished by the Hung Group. The police family reported without seeing the daughter return. Three days later, the bodies of the motorcycle and the victims were found several tens of kilometers away from home. The police are arresting the other suspects. Dien Bien Nearly 1,000 people under the management of Phu City and Dien Bien District have been reviewed. Police and border guards were ordered to block border and national roads 12, 6, 279 and the provincial roads of Dien Bien.